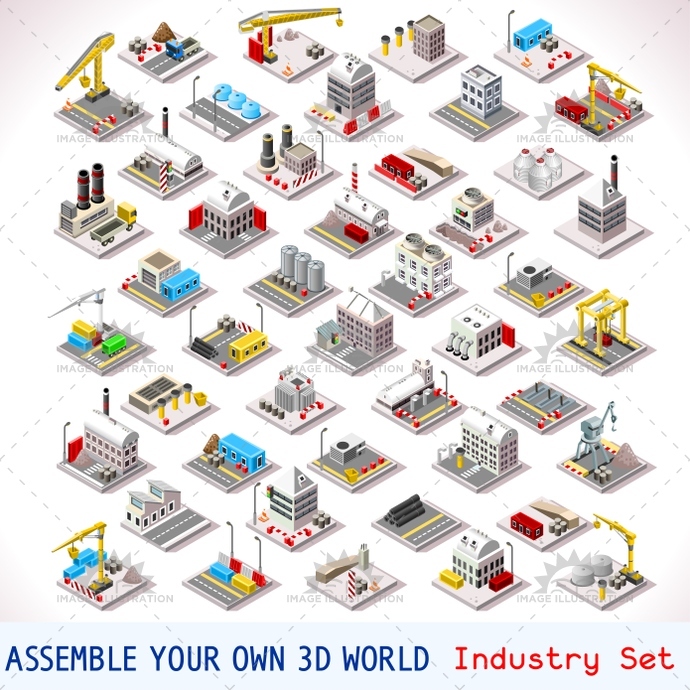 Stock product - detailed vector illustration - Isometric Building Collection - Game Set 06 - created by Aurielaki. Image formats EPS AI JPG. SKU: Game-Set-06-Building-Isometric-AurielAki. Categories: Isometric Building Icon, Isometric Factory Icon. Tags: apartment, app, architecture, area, block, building, chain, city, cityscape, company, crane, distribution, element, estate, facade, factory, flat, game, goods, graphic, high, house, icon, illustration, industry, infographic, isometric, management, manufacture, map, model, modern, new, oil, perspective, plant, production, road, site, street, structure, stylish, template, tile, urban, vector, warehouse, web, works.